6 Bedroom Semi Detached House To Rent in Staines-upon-Thames for £2,950 per Calendar Month. 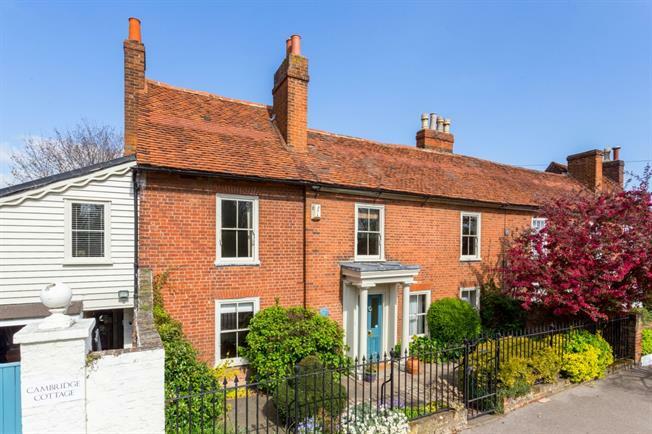 Dating back to 1720 Hamptons International are delighted to bring to the market this superbly presented Grade II listed character family home. Arranged over three floors the property offers flexible living and bedroom accommodation. Upon entry you will immediately feel the character which the property has to offer and notice the number of period features. From the hallway to the right there is formal drawing room with feature sash windows and fireplace. To the left of the hallway you will find a dining room which leads to the farmhouse style country kitchen with fitted appliances including an AGA and benefits from French doors which open to the private walled garden. The ground floor also benefits from a garden room which allows in an abundance of light and being situated next to the kitchen can also be used as a dining room or morning room. There is also a cloakroom, WC, and utility room/store cupboard. To the first floor there is a master bedroom suite with dressing area and en-suite bathroom which lead to a second bedroom. There are three further bedrooms to this floor one which has a cleverly designed en-suite bathroom along with a family bathroom. To the second floor is a sixth bedroom which can also be used as a home office. Externally, to the front of the property is a driveway and garage which has space for two vehicles and to the rear is a wonderfully presented mature garden with fruiting apple, pear, fig and cherry trees and a collection of David Austin roses. The garden is a perfect space for dining on a Summer's evening.